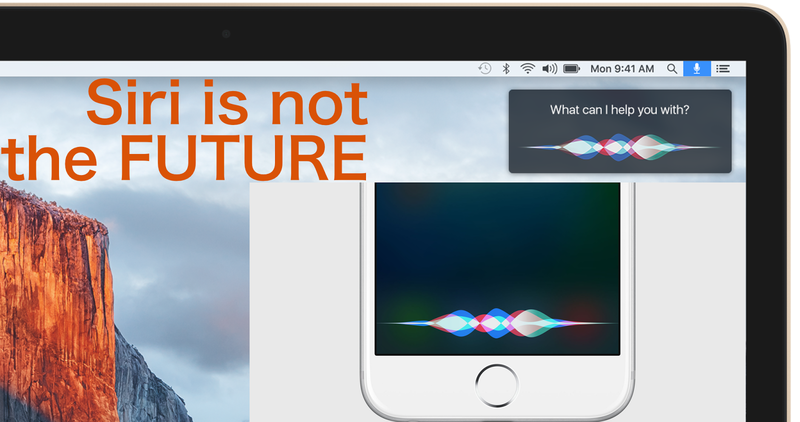 Please Apple, Siri is not the future! So Apple is planning to add Siri to the coming big update of OS X1. Personally I have never liked Siri. The reason is that it has never worked good for us international users. Don't get me wrong, Siri works great for dictation and adding tasks to task management systems and so on, but not for other things. For example navigation. Siri works incredibly bad for that here in Sweden. It's actually totally useless for that. You can't give navigation commands where to drive for example because it works really terrible for Swedish names. Somehow Siri don't understand where to drive if you mention a Swedish street name like "Bagaregatan". It's the same thing when asking questions to Siri in Swedish. There is not many wanted answers she can give you. It's by far not as good as it is if you set Siri to "US" and talk English. But if I do that Siri doesn't understand any Swedish names at all. Siri is basically totally useless outside of English speaking countries and a few others like Germany, Spain and France. And that worries me. Because it looks like Apple believes Siri is the future. Apple recently added Siri to the Apple TV operating system, it's of course available in iOS on the iPhone, iPad and iPod Touch. And Siri is also available in watchOS on the Apple Watch. So if Apple implements Siri in OS X too then it's complete, Siri is then available on all Apple devices. And it will still be quite useless internationally. And that's what worries me because it seems that Apple doesn't know that. It looks like they think Siri is awesome. Everywhere in the world. So if Apple is planning to make all their operating systems based on Siri navigation they are doomed. It will be a huge fail. Because they can never make Siri work good everywhere in every country in the world, so the user experience will be terrible. And excellent user experience is what Apple is known for. So please Apple, understand that voice commands and voice assistants is not the future!